The best route from Calais or the Channel Tunnel is to follow the A26 motorway to near Arras, and then take the A1 direction PARIS, leaving the motorway at Exit 14 BAPAUME. 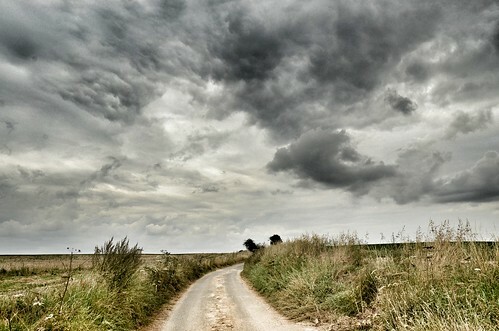 This brings you in to the Somme from the east. If you want to start your tour at the Historial de la Grande Guerre, leave at Exit 13.1 and follow the signs for PERONNE. One of the most common questions I get asked is about accommodation. There are a range of hotels, gites and bed and beakfast accommodation available on the Somme battlefields. Registered businesses are normally part of the Somme Battlefield Partnership but complete infomation on where to stay can be found on the Somme Tourism website. Or book direct with Gites de France. Tel: 0033 3 22 71 22 70. LONGUEVAL: Full equipped house that sleeps six in three rooms. Longueval is only walking distance from Delville Wood and near all the main sites. Discount for WFA members. For further details contact: Mrs Jeannie Alexander, 27 Courtway Avenue, Birmingham, B14 4PP. TEL: (0121) 430 5348. ALBERT: On the outskirts of the town, this is a 2 star site and has 75 pitches. Contact: Camping Le Velodrome, allée charles queret, 80300 Albert, Somme. Tel: +33 3 22 75 22 53. The site has no web presence or email. No English spoken. AUTHUILLE: Close to Thiepval, this site is very popular with English visitors. It has toilet and shower facilities, and a restaurant on site with a good reputation – The Cochon Salle – and another down in the village of Authuille. Contact: Camping Bellvue, 80300 Authuille, France. Tel: + 33 3 22 74 59 29. Fax: +33 3 22 74 05 14. The site has no web presence or email. It has 96 pitches. No English spoken. Open 1st March – 31st October. MIRAUMONT: On the outskirts of the village, which has a post office, shop and bar that serves light food. The site has no web presence or email. It has 65 pitches. Contact: Camping La Herelle, Rue Poulain, 80360 Miraumont, France. Tel: +33 3 22 74 84 83. Fax: +33 3 22 74 84 83. No English spoken. Open 1st April – 15th October. 1 RUE GEORGES CUVILLIER – 80300 Ovillers-la-boisselle, France. TEL/FAX: 0033 3 22 74 82 84. Situated in the heart of the Somme Battlefields, in the town of Albert, this museum is a good starting place for any visit to this area. Located in a series of tunnels below the Basillica square (used as air-raid shelters in WW2), there are reconstructions of trench scenes, dugouts, trench mortar positions and tunnelling. Thousands of items are on display, along with a good film and many photographs and maps. The shops sells some books, and numerous battlefield relics (safe ones!). Opening hours are from 1st March to 15th December, 9.30 – 12.00 and 14.00 – 18.00. In July and August the museum is open all day. A very modern museum of the First World War, it is located in some of the old ramparts and chateau at Peronne. An interesting contrast to the Musee des Abris, there is an excellent film and a good bookshop, which takes credit cards. It is open from 10.00-18.00 between 1st April and 30th September, including Sundays and Bank Holidays. Between 1st October and 30th March it is open 10.00-18.00, except Mondays and is closed from mid-December to mid-January. This site has undergone a number of changes in recent years; it is now directly run by the South African Government. There is a limited shop selling books, postcards and snacks/drinks and there are also toilets and picnic benches. The Museum remains free, is open every day except MONDAY, 10.00 until 17.45 in the main season, and 10.00 to 15.45 otherwise. Closed late November to early February. The Ulster Tower commemorates the men of the 36th (Ulster) Division who fell on the Somme in 1916. It has a memorial room and visitors centre with displays and a film about the attack on Thiepval. Drinks, snacks and books are also on sale, and there are clean and modern toilet facilities. The site is owned by the Somme Association, and the Ulster Tower is open every day except Monday. Opening hours are: 10.30 – 17.30 (April to September) and 10.30 – 16.30 (October – November & February-March). It is closed in December and January. Entrance is free. Tel: 0033 3 22 74 81 11. Fax: 0033 3 22 74 80 68. Opened in 2006, the Thiepval Centre is located close to the Thiepval Memorial to the Missing and tells the story of the Somme battle in 1916. It also has a database of men who are commemorated on the memorial, and a good bookshop. English is spoken by the staff here. There are toilets and parking for cars and coaches. Open every day 0900-1700 from 1st November to 28th February and 1000-1800 from 1st March to 31st October. Address: 8 rue de l’Ancre, 80300 Thiepval, France. The IGN Green Series 1/100,000 map No 4 ‘Arras-Laon’ covers this area if you are only going to drive the Somme. More detailed maps can be found in the IGN Blue Series: four sheets cover the main 1916 Battlefield. They can be ordered from the IGN web site, or can be purchased in the MAISON DE LA PRESSE near the Musee des Abris in Albert and also at the Historial in Peronne and Thiepval Visitors Centre – all mentioned above. Also worth looking into is the Linesman system of using GPS with WW1 trench maps. See Great War Digital for further information.